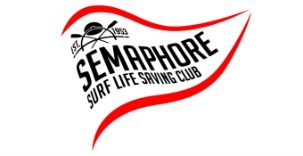 On Sunday 7th October 2018 Semaphore SLSC will celebrate the Club’s 30 year Anniversary at Point Malcolm Reserve. We would like to invite all members past and present and supporters of the club that have been involved at some stage over the past 30 years (and indeed the past 60 years) to come down, enjoy the newly renovated clubrooms, share a few stories and catch up with old friends. The event will kick off at 3pm and there will be Bar specials throughout the afternoon, with complimentary food served. For further information call Pat Hansen on 0422 007 413. Meantime we are awaiting confirmation on a proposed date for the official opening of our upgraded facilities. Save the date – Youth Group meeting this Sunday! Membership Registration Day this Sunday!